Find a vacation home to rent in Subbiano from our list of vacation rental properties. Campaya has over 9 vacation homes available in Subbiano, which give you the possibility to locate a unique accommodation in Subbiano which completes your check-list in search for the perfect self catering vacation apartments in Subbiano or vacation villas in Subbiano. 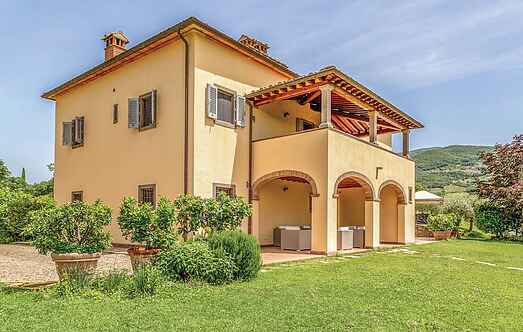 This Beautiful Italian villa with annex is set in a panoramic position near the beautiful city of Arezzo. This completely independent apartment in an ancient mill that has been restored is situated in a valley that borders the Arno valley between Arezzo and the Casentino. Cosy country house with pool and garden bordering a small wood with playground for children: a little paradise only for them! Nice furniture, terrace with barbecue. Small football field. 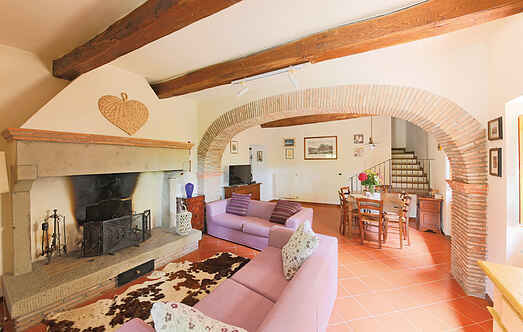 Spacious holiday home with pool and panoramic view, just 8 km from Arezzo on the slopes of a side valley. Beautiful country villa with adjacent annex set inside a large property mainly farmed with olive trees situated in a panoramic position near the city of Arezzo. Only 3 km above Subbiano is this 1st floor-apartment located in a former farmhouse on the edge of a small hamlet.